Happy Friday guys. Gosh this week has gone fast which means it's closer to Christmas..yey! 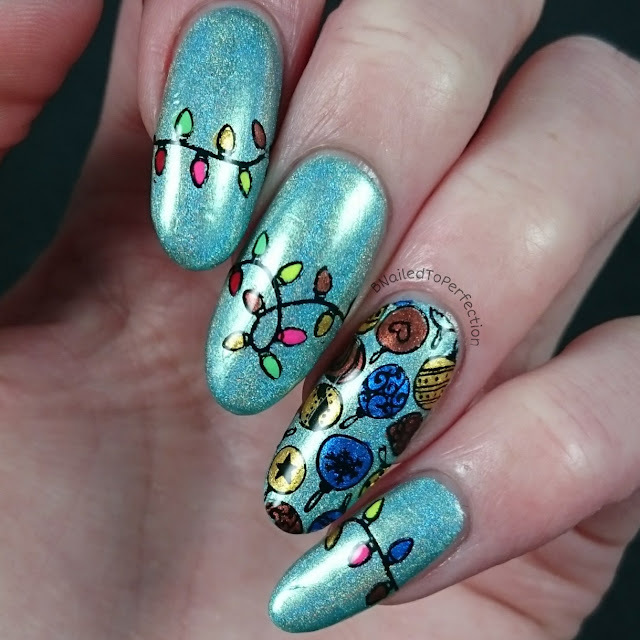 I just love this time of the year especially as I can do as my Christmas manis as I like! 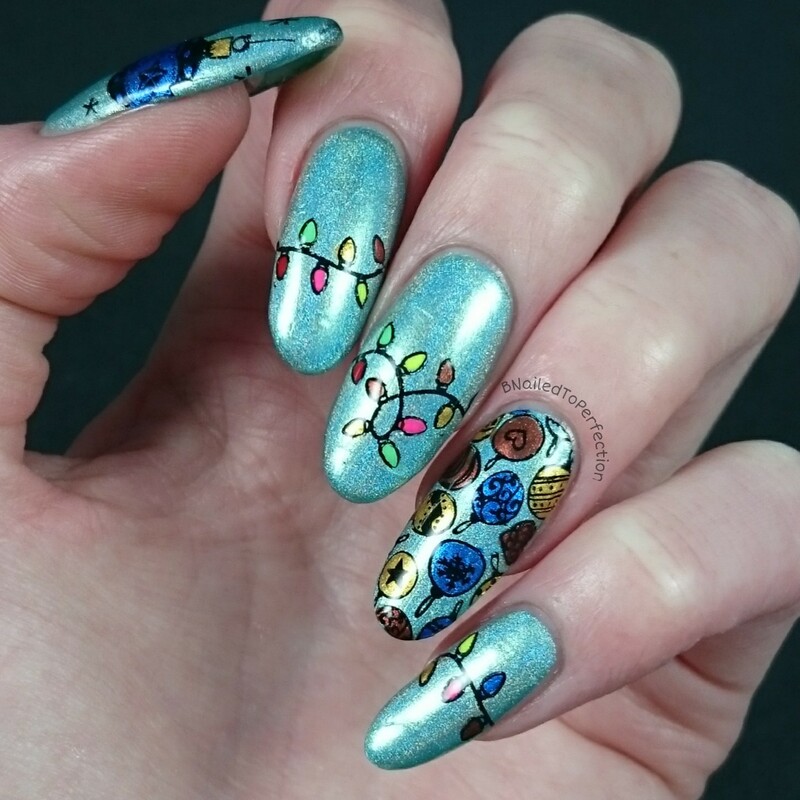 I did a Christmas tree theme on my nails as I used a green base with some lights and baubles. 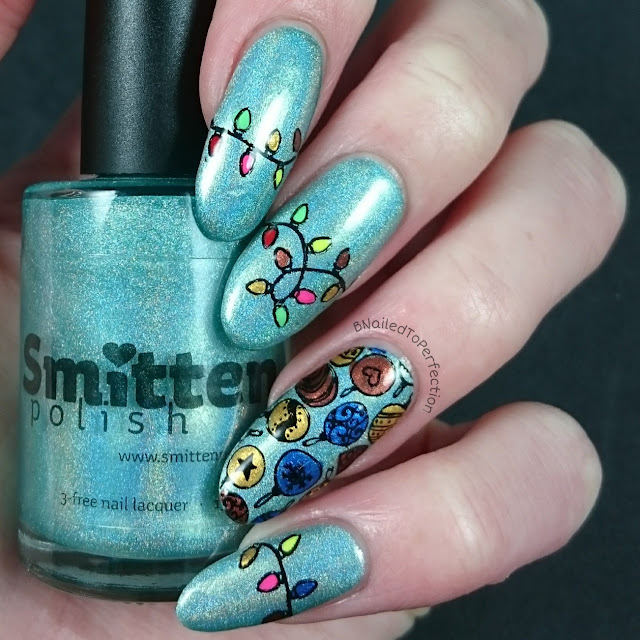 For my base I used 3 coats of Whisky in the Jar by Smitten polish. It's a lovely pastel mint with a holographic finish. 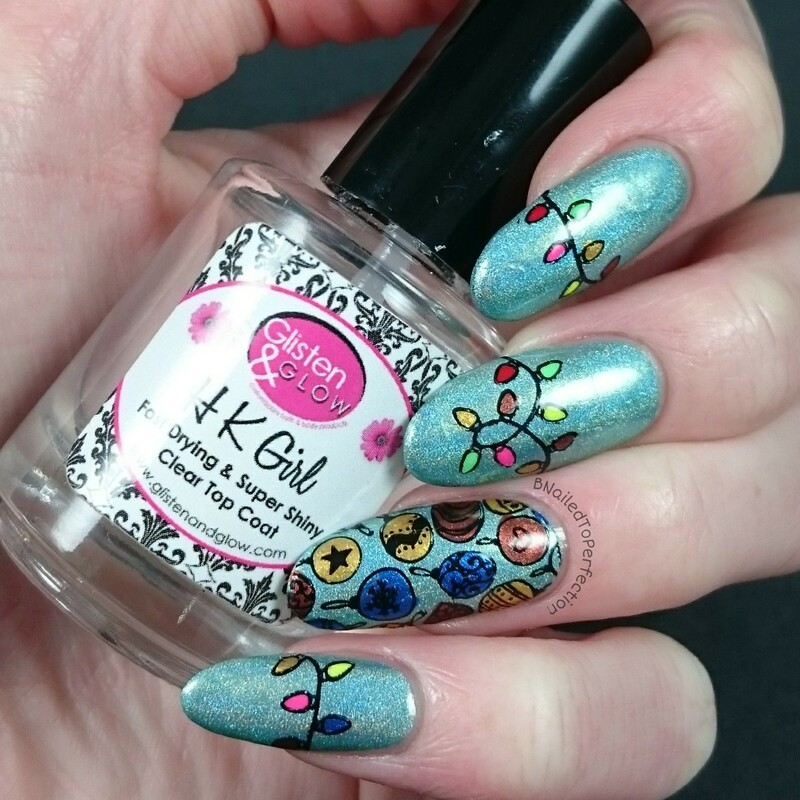 So I stamped in black, over a layer of top coat on my DRK Nails mat, and then filled in all the spaces with the stamping polishes. Left it to dry and then applied as decals. So what do you think of these Christmas tree theme nails? I love them! This will also be the last post with my lovely long almonds for a while :( I sadly had to cut them down due to having a low split on my middle nail. My thumb and pointer were already enhancements and I couldn't cope with doing a third lol. However, it's not all bad as I get to try out a new nail shape! Watch out for the new nails next week.